Visa EVP of Technology Rajat Taneja gets understandably excited when you mention Apple Pay. That makes sense given that Visa – along with American Express, MasterCard – is one of the key partners in Apple’s new smartphone payments ecosystem, but Visa is a partner in Isis/Softcard and Google Wallet as well. What gets Tenaja really worked up is that Apple Pay could become a blueprint for all sorts of other mobile payments services worldwide. [company]Apple[/company] Pay is the first mobile wallet to use a new financial-industry backed standard based on the tokenization of the credit card, and according to Taneja it could become the precursor of any number of new mobile wallets and digital payments solutions embedded in smartphones, applications and even web browsers. Apple Pay is entirely based on credit cards. That means it is not a new payment method. It looks more like Apple will become one of the biggest resellers of the credit card industry. They will only facilitate the use of credit cards, and in our industry players like that have a name: payment facilitators. For that reason, Taneja believes Apple Pay will have a good chance at succeeding where other contactless payments systems have failed, and it’s why it’s secured the cooperation of everyone from the credit card companies and banks to brick-and-mortar merchants and online payment processors. So right about now you’re probably wondering what exactly a token is. Simply put, it’s a stand-in for your credit or debit card number, a randomly generated sequence of digits stored in your phone and read by a point-of-sale terminal. 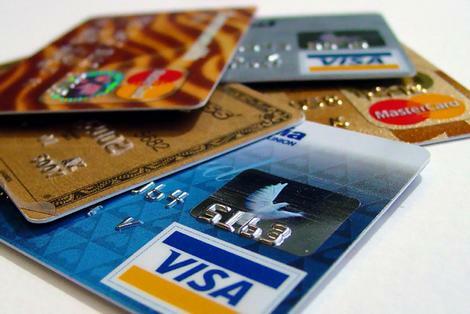 Your real card number, or Primary Account Number (PAN), is locked in away in a virtual vault maintained by your bank or [company]Visa[/company] or [company]MasterCard[/company], and it validates any transaction using a token against your permanent account number. The tokens can be swapped depending on the policies of the card issuer. You could get a new token every few days, after a certain number of transactions or dollar amount spent. Or you mobile wallet could request a new token after every “swipe” of your card. To the sales counter terminal, it just looks like any other card number and it will process it as such. But if an expired token number is suddenly run through the system, your bank knows something is amiss. Apple Pay is basically riding over the newly minted token infrastructure that companies like Visa and MasterCard have begun setting up, and while it may be the most recognizable brand on that network, it certainly won’t be the only one. [company]Google[/company] actually kicked the process off when it launched Android 4.4. That version, known as KitKat, included a technology called Host Card Emulation deal for tokenization technology. Android and iOS are now on the same page when it comes to mobile wallet technologies, Taneja said, and that opens up a world of possibilities. After Apple shines the spotlight on tokenization’s capabilities, Taneja expects many more mobile wallets to emerge, and not just digital payments solutions tied to specific mobile OSes. A mobile banking app could stand in your for debit card, or a big box retailer could embed your payment credentials directly into its own app, letting you pay for goods at the counter or over the web. So whatever you think of Apple’s chances of success, Apple does have the financial industry rooting for it. And in the world of retail commerce — where the number of competing interests are almost too high to count — that is an advantage that cannot be ignored. Will credit cards still expire? This (hopefully) won’t replace credit cards. Not everyone will want to use NFC and/or Apple Pay. I’m still wondering what happens if someone steals your phone and lifts fingerprints off the device. I guess it will be the same if someone lifts your wallet and steals your credit cards directly. Apple Pay only supports credit cards, which are the most expense way to pay (eg, debit and ACH transaction expenses are significantly lower). Lack of support for these payment options is likely why PayPal is not part of the current discussions and why big retailers like Walmart have said they won’t support apple pay. Why was this not addressed in your article? The way the internet has been buzzing about Apple Pay I thought Apple had some sort of advantage over Google Wallet but it doesn’t look that way at all. I’m just wondering why after three years or so Google Wallet hasn’t taken off considering so many Android smartphones come equipped with NFC. The only advantage I see to Apple Pay is if some software needs to be upgraded, Apple can upgrade all of their smartphones relatively quickly (in a matter of days). With Android it could take months because the carriers are so slow at distributing updates. So it’s being said Apple Pay could change everything in terms of mobile payments but since Google Wallet is about the same as Apple Pay so what’s the difference. Once thing for sure KitKat isn’t nearly on that many Android smartphones percentage-wise. 25% is probably a fair number of Android devices but platform-wise that’s just one-quarter of all Android devices which is lousy. The difference is that now there’s no difference. Up until recently, Apple was talking a lot about Bluetooth Low Energy, and iBeacons. That confuses and stifles the market. The difference now is that both of the two main OS camps are on the same bandwagon. And it’s no trivial detail that the entrenched interests are also on board. That’s what it takes for momentum to build. Think about Blue Ray vs. HDDVD. That market was stifled for years by consumer and ecosystem confusion. It was stalled so long that streaming took over. Getting all the industry wood behind one arrow will move things along.